Raise your hand if you've been watching Taylor Swift's newest video, "Blank Space," on loop since Monday, everyone! *Raises hand* Also, raise your hand if this song is stuck in your head to the point that you can't fall asleep and it's officially a problem. *Raises hand* Other than hopelessly trying to cease the "Blank Space" broken record in my brain since the video leaked, I've been casually researching Sean O'Pry, the young man who plays the handsome pawn to Swift's psycho girlfriend. 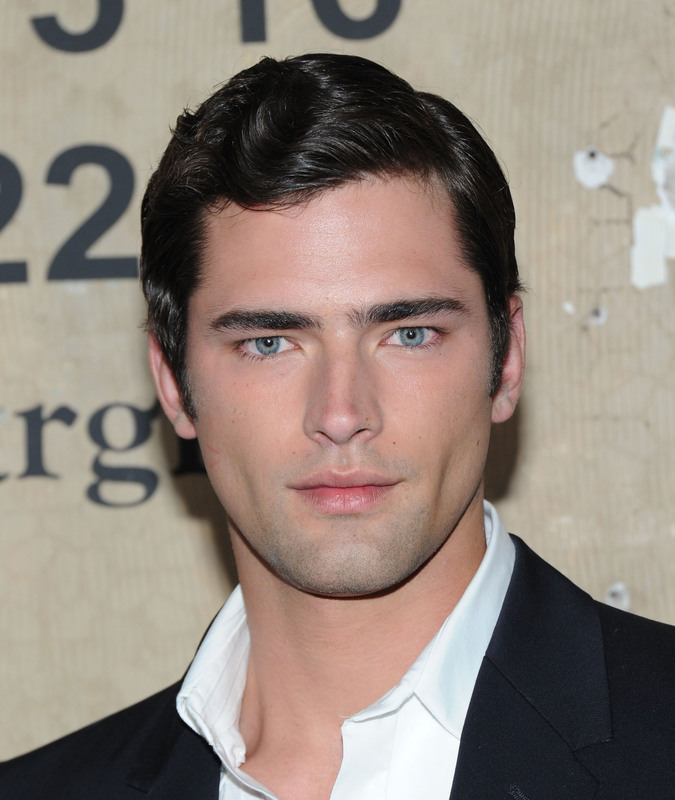 Turns out, Sean O'Pry from "Blank Space" was considered for the Christian Grey role in Fifty Shades of Grey. So, put that in your fangirl pipe and smoke it! The 25-year-old model has made a name for himself by fronting campaigns for Versace, Hugo Boss and Ralph Lauren, but this latest role as Swift's newest beautiful dude in "Blank Space" is entertainment industry big break status. O'Pry sat down with Access Hollywood on Tuesday to talk about filming the video, his interactions with Olivia Benson (spoiler alert, he did not meet Olivia Benson), and his life as a model trying to transition into showbiz. (Thus far, O'Pry only has one IMDb credit, for a small 2010 film called Innocent). I think it was more the acting ability at the time. Congrats to Jamie [Dornan] though. I mean, Jamie's so nice... it was cool to read [for] it. For the last year, I've been doing serious studies, so it's quite cool. Right now, I'm just studying. Not reading anything or going out on anything — I'm just trying to get better. While there may be plenty of Fifty Shades fans out there lamenting the fact that we won't get to see Sean O'Pry in the red room, I don't think "Blank Space" is the last we'll see of him. His three-minute long role as Taylor's man candy has made him one of the world's most instantly searchable names overnight. Plus, if you consider that the cult of Taylor Swift's fanbase is even more broad and zealous than Christian Grey devotees, I think we can say that this gig wasn't too shabby at all.